attuned to the magic of Fatecasting and can draw upon it to teleport short distances. and are likely to attack any intruders, especially ones that seem to be stealing. to orangey-brown. Bloodwaves are predators, and kill their prey by suffocation. bloodwave and get it nicely thrashing about. 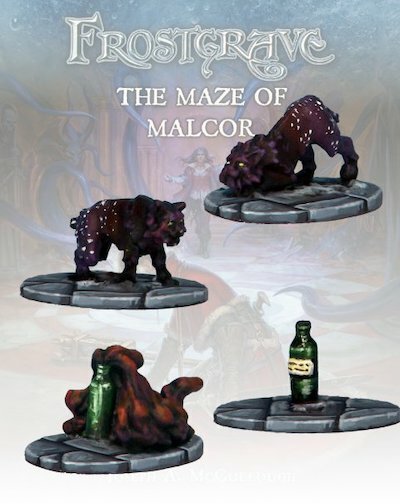 Four models per pack. Suitable for use with 28mm sized figures, made of pewter, supplied unpainted.